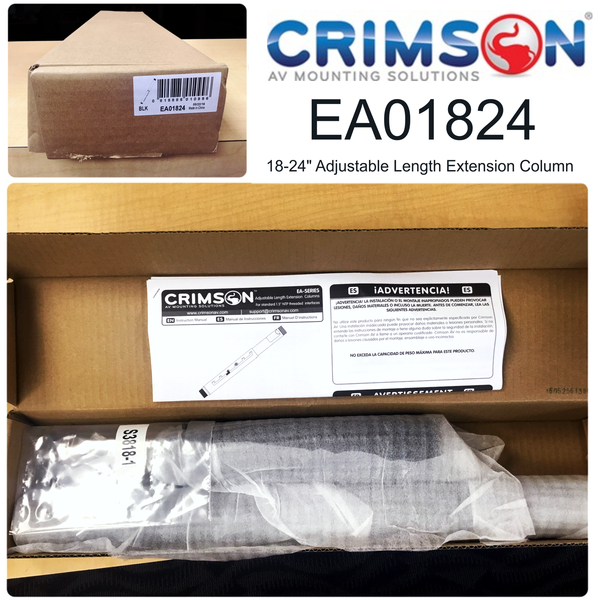 The Crimson 18-24" Adjustable Length Extension Column is compatible with all mounts and ceiling adapters using a standard 1.5" NPT interface. Unobstructed internal cord routing with 1" x 2" outlet opening fits standard VGA connectors; a cover is provided for instances in which the cable opening is unused. 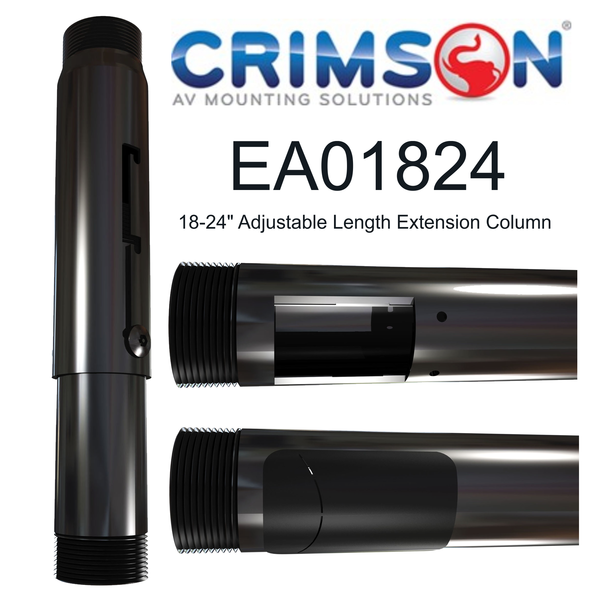 Drop lengths are easily adjustable in 1" increments without need for disassembly. Drop lengths may be further extended by connecting two or more columns via optional connectors.